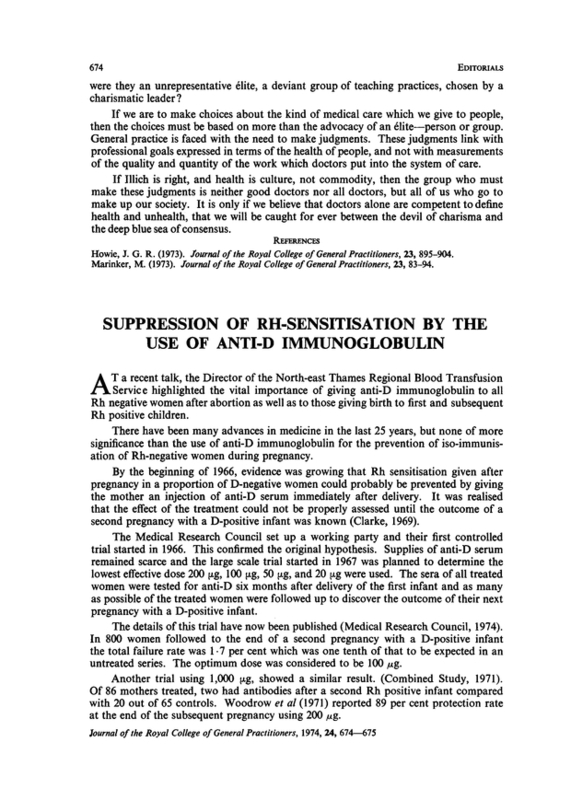 Editorial: Suppression of Rh-sensitisation by the use of anti-D immunoglobulin. J R Coll Gen Pract 1974; 24 (147): 674-675. You are going to email the following Editorial: Suppression of Rh-sensitisation by the use of anti-D immunoglobulin.